A Brighter Future, Despite The Challenges. Continue Supporting Solidarity! June 2017 Dear faithful DJPC members, We’ve now survived the first four months of a nightmare: the Trump presidency. We’ve endured attacks on our education system, our healthcare, our immigrant communities. Perhaps a silver lining to the Trump presidency is the movement of a young, previously disillusioned and disaffected left. Formerly dormant activists are also … Continue reading A Brighter Future, Despite The Challenges. Continue Supporting Solidarity! Great news today from Peru! 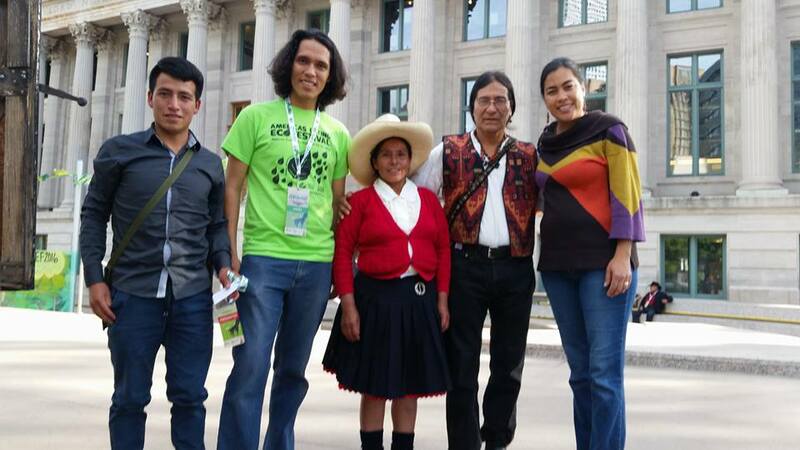 The Supreme Court has acquitted Máxima Acuña, an indigenous woman and recent recipient of the Goldman Environmental Prize, for usurping land from Newmont Mining near Celendín, Peru. The struggle has been many years in the making. While Newmont and its partner in Peru, joint owners of Yanacocha, have held that … Continue reading Máxima Acuña and her family acquitted. 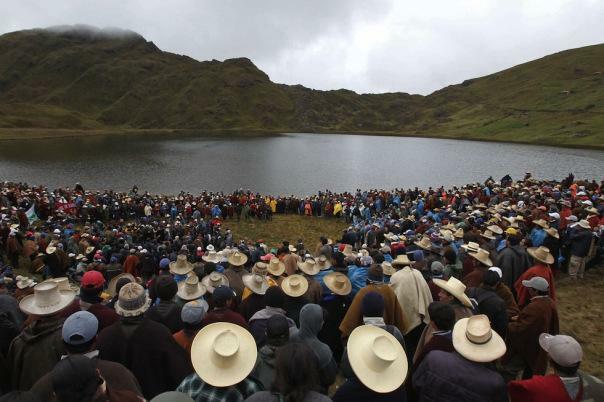 Supreme court rules against Yanacocha owned by Colorado based Newmont Mining. On Saturday April 22: Earth Day we joined the community standing for science and climate justice. Thank you all that made the March for Science possible. We will continue using science to show the devastating consequences of mineral extraction in our communities. 1 de abril del 2017 Desde Sudamérica hasta Canadá, las y los integrantes del Movimiento Mesoamericano contra el Modelo extractivo Minero (M4), enviamos un fraternal y fuerte abrazo, lleno de felicidad para el pueblo salvadoreño, quienes a través de diversas expresiones sociales, organizaciones y grupos de base, medios de comunicación, la iglesia, entre otros, han … Continue reading La República de El Salvador grita fuerte y claro ¡Sí a la vida! Denver, March 1st 2017 Dear DJPC members and financial supporters, To quote Charles Dickens from A Tale of Two Cities, “It was the best of times, it was the worst of times, it was the age of wisdom, it was the age of foolishness, it was the epoch of belief, it was the epoch of … Continue reading Call for sustainers. Any amount counts! DJPC Stands in Solidarity with Maxima Acuña. February 2017. At Denver Justice and Peace Committee we learned earlier this week from Grufides, a human rights organization based in Peru, that Máxima Acuña Chaupe, winner of the 2016 Goldman Environmental Prize, and her husband Jaime Chaupe, were again victimized by personnel at the Yanacocha mine owned by Newmont Mining Corporation. Company’s security forces entered their … Continue reading DJPC Stands in Solidarity with Maxima Acuña. February 2017.